Thrawn is a novel written by Timothy Zahn. The novel is about the character Thrawn, who was canonically reintroduced in the third season of Star Wars Rebels. Zahn was the creator of the original character in the author’s Thrawn Trilogy. The novel was released on April 11, 2017, and a sequel is set for release in 2018. I finally finished reading this book tonight and to be honest with you I couldn’t put it down. I started reading it last week and I was drawn to it right out of the gate. I spent many a night staying up reading in bed. It was a race to absorb as much of it as possible. If you haven’t read this book I would recommend picking it up and reading it ASAP. I know I’m late on getting this book read as it came out back in April of 2017 but as is life, I am woefully behind in my reading. 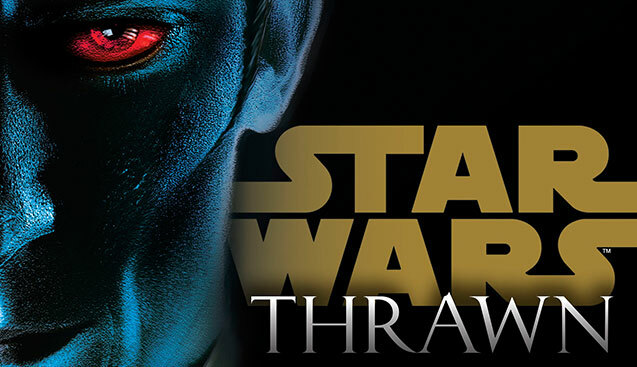 There have been a few Star Wars books that I have read over the past year that was just a struggle to get through and this was not the case with the Thrawn novel. 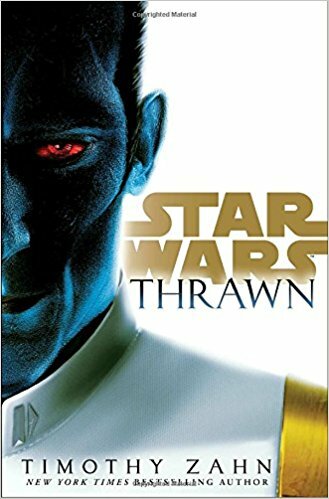 This was not my number one read over the past year as to my knowledge there was nothing Thrawn related in The Last Jedi and I was trying to keep my focus strictly on preparation for that movie. I was aware of Thrawn showing up in Star Wars Rebels, but that was really the extent of my concern with this character and I was content with what I was seeing and learning about him in the Rebels cartoon. After finishing this book I am kicking myself in the arse for not reading it sooner. I really enjoyed getting to see Thrawn enter into the Empire hierarchy and watching him and the characters around him grow. It is interesting to see “humans” reactions to the “aliens” and that not everything is as it seems. In the Rebels cartoon, we see that Thrawn is an established character and very much respected but in the novel, we learn that this is not always the case and that with each win there are those that are trying to tear him down. We get a great look at his mindset and how he forms his plans and processes his actions. If the next book due for release in 2018 is remotely as good as this one then it’s going to be a must read and hard to put down. I can’t wait to see what Timothy Zahn has in store for us in that book. I had the same feeling. I absolutely loved the book, the characters, the Sherlock Holmes and Watson story. It makes me want more new Thrawn novels. Can’t wait for the next book where Thrawn and Vader team up (or go against each other).